Celtics forward Jared Sullinger was arrested Tuesday morning after turning himself in following a domestic situation with his girlfriend. Sullinger, 21, arrived at the Waltham Police Department at 6 a.m. Tuesday morning to turn himself in to authorities, according to police. Sullinger has been charged with assault and battery, malicious destruction of property and witness intimidation. Police say the incident took place Saturday evening. Sullinger is due in Waltham District Court on Tuesday. This story was first reported by MyFoxBoston.com. Paul Pierce officially joined the Brooklyn Nets last Friday, but it looks like part of his heart might still be in Boston. The former Celtics forward set up a new Instagram account today and has already posted more than 30 photos in just an hour with the message "#ThankYouBoston" on each image. Jackson's avatar photo is of his 11 championship rings. His Twitter page background, also the rings. It's as if Phil is trying to tell us something. In a video almost a day after the tweet, Jackson explained the typo. Jackson, you see, had trouble typing due to the weight of all his rings. This is a good time to point out that Red Auerbach won 16 rings as a coach and general manager. Former NBA player and current Celtics broadcaster Brian Scalabrine had some fun last week with the notion that an average player off the street could beat him one-on-one. In a contest organized by 98.5 The Sports Hub's Toucher and Rich show, Scalabrine easily beat four challengers who applied to take on the 11-year NBA veteran. Comcast Sports Net aired the first portion of the contest Tuesday night. The clip features Scalabrine beating former Syracuse player Matt Tomaszewski by a score of 11-2. Tomaszewski scored early on a hook shot and then struggled on both ends as Scalabrine went down to the block often. "They're all good basketball players," Scal told Toucher and Rich Wednesday. "People just don't understand the size and speed and strength of anybody in the NBA." You can watch the first game below. The bit sprung up organically from conversations Scalabrine had with hosts Rich Shertenlieb and Fred Toucher. On Wednesday, Scalabrine said he took on the challenge for fun. "I'm not trying to prove anything with all this," said Scalabrine. "I like to have fun, I like to play basketball. I never thought that [proving myself] was what this was about." You can watch the complete challenge below. Thanks to CBS Boston and CSNNE.com for the highlights. Mike Krzyzewski told the Associated Press that he has coached his last game for the men's Olympic basketball team, ending a seven-year run today with his team winning gold. Speculation has already begun regarding who should replace Krzyzewski. Celtics coach Doc Rivers, who worked as an analyst for the London games, said in a postgame discussion on NBC that anyone offered the job would take it. Rivers, for his part, said he wanted to see Philadelphia 76ers coach Doug Collins get the job because of what many believe was an unfair loss to the Soviet Union that Collins was part of at the 1972 Munich Olympics. Collins put the US ahead by a point at the end of the game, but confusion over a timeout led the referees to put more time back on the clock, and the Americans ended up losing by a point. Rivers had good things to say about two of Team USA's stars, who, back in the states are his team's serious rivals. "It's OK to cheer for LeBron," Rivers said of Miami star LeBron James. "Not in Boston, but it's OK to cheer for LeBron." And about Kobe Bryan of the Lakers, Rivers said the shooting guard is "the hardest working player in the NBA." Of course, if Rivers is the man for the Team USA job, it would be interesting to imagine whether a 2016 Olympic team coached by Rivers might include Rajon Rondo or Austin Rivers, Doc's son who was drafted by the New Orleans Hornets. Ray Allen is torn between playing for the Heat or Celtics next season, sources tell ESPN.com. ESPN.com's Brian Windhorst writes that Allen left a meeting with Heat officials Thursday night without accepting or declining Miami's offer. The Associated Press had previously reported the Celtics have offered Allen, the NBA’s 3-point field goal leader, a $12 million, two-year deal. The Heat — who have ousted Boston from the past two NBA postseasons — can only offer Allen the mini mid-level exception, which would pay about $3 million this coming year. Many famous Boston sports people attended the 11th annual award ceremony ‘The Tradition’ at New England’s Sports Museum in TD Garden Wednesday, but none bigger than Pedro Martinez. Other honorees included former Celtics great Robert Parish, Patriots’ two-time Super Bowl champion Rodney Harrison, Bruins owner Jeremy Jacobs, former Yale rower Chris Ernst, and former Revolution defender Alexi Lalas. A poignant moment of the ceremony came when Harrison said, “The reason why I’m here is Junior Seau.” Harrison said that Seau inspired him to play the way he played all the time, including practice. Seau recently took his own life by shooting himself in the chest, raising awareness for concussions and health concerns in the NFL. Harrison chose his wife, Erika, to present the Football Legacy Award to him to show people how important his wife was to his career. Sportscaster and former Celtic Bill Walton introduced Parish, “The Chief,” who bowed to the crowd after accepting the Basketball Legacy Award. Walton repeatedly said, “Hail to the Chief,” and cracked jokes. Parish, a four-time NBA champion and Hall of Famer, drew laughs from the crowd when comparing Michael Jordan and Larry Bird. “Bird was slow, couldn’t jump,” he said, noting both had unparalleled determination. Jacobs was honored for last year’s Stanley Cup but also for his commitment to community service and philanthropic contributions. In light of the 40th anniversary of Title IX’s enactment, Ernst, captain of 1976 Yale women’s crew and gold medalist at the 1986 world championships, was honored. The Revolution’s leading career goal scorer Taylor Twellman called Lalas “a pioneer for our sport.” Lalas was a member of the 1994 US World Cup team and helped spark interest in soccer in America. Celtics coach Doc Rivers was messing around on the computer one day and ran into this thing called Positive Coaching Alliance. As the story goes, he liked what he saw so much from the organization online that he signed up and has been on the advisory board ever since with luminary coaches like Phil Jackson. That was two years ago. Rivers, along with Boston Red Sox manager Bobby Valentine, Boston College men's ice hockey coach Jerry York, and Harvard men's basketball coach Tommy Amaker headlined the first annual Sports Leadership Breakfast at Fenway Park Tuesday morning, a panel discussion put on by the alliance that served as both a fundraiser and a roundtable on positive coaching skills. "If you look at Doc and Phil and other really great coaches, one of the characteristics is they get the best out of everyone," said Jim Thompson, the alliance's founder. "Not just their star players. Their role players come online and people who are playing with the Lakers or the Celtics do better when they're playing with those coaches. They go elsewhere and they're not so good. So even at the highest level, that kind of positive coaching, where you're making a team, the concept of Ubuntu is one we use actually in our workshops now. We're spreading it all across the country. The idea is that I can't be all I can be, unless you're all you can be. That's a huge concept and the greatest coaches do that." The PCA also honored two local coaches, Needham football coach Dave Duffy whose Rockets were runnerup in the Division 1 EMass Super Bowl, and O'Bryant's girls basketball and volleyball coach Gertrude Fisher. Both accepted checks for $1,000 on behalf of their athletic departments. The panelists addressed a number of topics in the discussion, including the involvement of parents -- which struck a chord with Rivers -- positive reinforcement and showing deference to referees. "Obviously it's very difficult," said Amaker of dealing with referees. "All of our sports and teams that we're playing for, we're fighting all the time, competing with our teams, for our players. They need to see you, I think, sometimes that you're fighting for them in particular. But I think we also have to have some semblance of discipline about ourselves. I think sometimes players are going to play to their coaches in that regard, so I think it's important." Said Valentine: "You go out and you just try and be honest and get to know the guys when you go out to either protect your players or go out and talk to the umpire. I mean, I got thrown out of a game this year when I went out and just said 'what the heck, can I get thrown out for what I'm thinking?' And he said 'no.' And then I told him what I was thinking." Rivers was particularly pointed about parents dealing with coaches. Being a father to multiple star athletes, he professes to never interfere with their coaches and believes no parent should. "I just think parents need to support their kids and enjoy their kids and help them at the games, and just say great job," Rivers said. "I know that's hard but I think it'll be better for the kid." York, whose powerhouse hockey team is tops in the nation, lamented the difficulty of finding high character players. "It's awful hard to determine character when you're recruiting a 17-year old and the mom and dad are selling that this is a perfect fit for you," York said. "And the coach is selling it and the player's on his best behavior. So it's a little bit of a gamble." According to a report in the Indianapolis Star, Larry Bird has decided to leave his position as president of the Indiana Pacers. The 55-year-old Celtics legend is “100 percent sure” he will not return as president of the team, a person with direct knowledge of the situation told The Star on Monday. Bird is expected to meet with owner Herb Simon today to finalize his departure. Bird spoke like he was planning to return for another season during his season-ending news conference last month. Bird, who is dealing with some health issues (reportedly back and shoulder related), will likely take a year off before deciding if he wants to return to any sort of front-office position. His departure comes just three days after The Star reported that Bird’s predecessor, former CEO Donnie Walsh, is expected to return to the franchise in some capacity. There’s a possibility Walsh will take Bird’s title of president. Bird was voted the NBA’s Executive of the Year in May, becoming the first person to be named the league’s top executive, coach and MVP. “It was a long journey, it was a painful journey," Bird told reporters in Indianapolis when he won the honor. “But now we think it’s going to pay dividends." Bird, a three-time MVP and Hall of Famer, was hired as the Pacers team president in 2003 and learned the ropes at Donnie Walsh’s side. He helped put together one of the best teams in the league in his first season, a 61-game winner that seemed poised to rule the Eastern Conference for years to come. Then he endured the franchise-changing brawl at the Palace in Detroit in 2004 that gutted a championship contender; a series of arrests and public embarrassments from his players in the following seasons that alienated a hoops-crazy fan base; and three coaching changes as he looked to change the culture of a free-falling franchise. A four-year playoff drought had many in his home state calling for Bird’s head, a startling fall for someone who once could do no wrong in Indiana. A fed-up Bird started a massive overhaul in 2006. The house-cleaning took years and included the trades of Ron Artest, Stephen Jackson and Shawne Williams, the exile of Jamaal Tinsley and the move from hard-driving head coach Jim O’Brien to unproven 38-year-old assistant Frank Vogel. “We had to change the culture," Bird said. “I thought Jimmy O’Brien really helped us in that aspect. He came in here and knew exactly what we had to do. We had to not only change the culture, but we had to take it slow and get some players we thought we could build around." We'll have more on this story as it develops. Four New England pro athletes made the Forbes list of highest paid athletes for 2012. Patriots quarterback Tom Brady comes in at No. 28 on the top-100 list with total earnings of $27.1 million. In March, Brady restructured his contract to provide the Patriots with more than $7 million in additional salary cap room for the 2012 season. Brady signed a four-year, $72 million extension in 2010 and reportedly converted $4.8 million of his base salary and $6.25 million of other bonuses into a signing bonus that can be prorated over the final three years of the deal that ends in 2014, when Brady will be 37 years old. Brady earns $23.1 million in salary plus $4 million in additional income through endorsement deals with Under Armor, Audi, and UGGs and others. Logan Mankins is the next New England professional athlete to be ranked on the list. The four-time Patriots Pro Bowl guard comes in at No. 51, earning $21.9 million in 2012, including about $1,000,000 in endorsements. Mankins missed half of the Patriots 2010 season when he held out after saying he was unhappy with his current deal. In 2011, Mankins signed a six-year, $52.25 million deal that extends through 2016. It was the largest contract paid to an NFL guard at the time. Celtics star Kevin Garnett, currently an unrestricted free-agent, comes in at No. 57 on the list with total earnings of $21.1 million, which includes $4 million in endorsements. Garnett has earned $291 million in salary in his career according to Forbes, second all-time only to former Celtics center Shaquille O'Neal. Injured Red Sox outfielder Carl Crawford checks in at No. 98 on the list with $16.9 million in total earnings in 2012, which includes about $150,000 in endorsements. Former Red Sox general manager Theo Epstein signed Crawford to a seven-year, $142 million deal following the 2010 season. Crawford struggled in Boston during the first year of the deal and has yet to take the field in 2012 due to wrist and elbow injuries. Jailed boxer Floyd Mayweather sits atop the Forbes list with earnings totaling $85 million. He is followed by boxer Manny Pacquiao ($62M) , golfer Tiger Woods ($59.4M), basketball star LeBron James ($53M), and tennis great Roger Federer ($52.7, to round out the top five. Mayweather, who made $85 million for two fights last year, is currently serving a three-month jail sentence in Las Vegas for domestic battery. Pacquiao lost his WBO welterweight title to Timothy Bradley earlier this month. Woods had been the highest paid athlete on the list since 2001. He's lost endorsement deals from Gillette, Tag Heuer, and others since personal issues surfaced in Nov. 2009. James's $53 million in earnings includes $40 million in endorsement money, which includes new deals to promote Dunkin' Donuts and Baskin Robbins in Asia. It was LeBron's first significant endorsement deal since the Miami Heat center signed with Fenway Sports Management to oversee his marketing career in 2011. James’s income also got a boost when he received cash as part of his partnership with Fenway Sports Group last year, through which James received a stake in the Liverpool soccer club. - Liverpool Reds legend Steven Gerrard comes in at No. 97 on the list. Reds/Red Sox owners John Henry and Tom Werner paid the LFC star $12.5 million in 2012, while Gerrard earned another $4.5 million in endorsements, mostly through his affiliation with Adidas. Athletes from 11 different sports qualified for the top 100, and 30 football players made the cut, which is more than any other sport, including 13 players from the NBA. The earnings figures published by Forbes includes salaries, bonuses, prize money, appearance fees, as well as licensing and endorsement income for the 12 months between June 2011 and June 2012. Take a look at the complete list via a photo gallery from Forbes here. According to a report from 24/7 Wall St., the New England Patriots have the most expensive seat in pro sports with an average ticket price of $241.86 at Gillette Stadium. The Red Sox also have the highest average ticket price in baseball, with a cost of $88.26 per ticket. To identify the five teams in each major sport with the highest ticket prices, 24/7 Wall St. examined a two-year average of secondary-market ticket prices for each team compiled by SeatGeek, a search engine for event tickets. Three of Boston's four major pro teams, MLS soccer teams were not ranked in the report, ranked in the top-five among the most expensive seats to purchase on the secondary market, which according to SeatGeek, is more reflective of fan demand. Good job, good effort, Mayor Menuno... err Menino, but we're starting to wonder if you bungle Boston sports stars names on purpose. Boston Mayor Thomas M. Menino was captured on camera Wednesday giving his take on the dramatic Celtics run through the NBA playoffs, and he referred to Kevin Garnett as "K.J." and Rajon Rondo as "Hondo" when praising the players' efforts. Maybe the mayor thinks Celtics great John "Hondo" Havlicek is driving the action from his floor seats under the basket at the Garden or former Phoenix Suns guard Kevin Johnson, a.k.a. K.J., is doing a great job as the current mayor of Sacramento. Maybe not. -- At the Fenway 100 celebration at Fenway Park in April, Menino reminisced: "2004 coming in here when Davy Roberts stole second base, Mueller [supposed to be pronounced Miller] hit the double, got him in, then Ortiz won the game. There's so many ... Jim Lomberg had that great year he had." That would be Red Sox righty Jim Lonborg in 1967. It was old friend Adam Vinatieri (not former Red Sox catcher Jason Varitek) who sealed the deal for the Patriots first Super Bowl victory when he nailed the game-winning 48-yard field goal in 2002 to beat the heavily-favored St. Louis Rams. -- Speaking of football, last season the mayor referred to Patriots wide receiver Wes Welker as "Wekler" and called tight end Rob Gronkowski "Grabowski." -- At a dedication ceremony at the Tobin Community Center in 2010, the mayor referred to NBA commissioner David Stern as "Donald Sterns." -- Menino used the term "great ball players" to describe the Stanley Cup ice hockey champion Bruins last year. -- The mayor also referred to the band Dropkick Murphys as the "Dropkick Murphy" and called the screen on the scoreboard at the Garden a 'Jumbletron' in lieu of the term JumboTron. Click here to see a photo and video gallery of other famous sports flubs. Saturday Night Live funnyman Jay Pharoah has made a name for himself with impressions of Eddie Murphy, Charles Barkley, Will Smith, and most recently ESPN's Stephen A. Smith. But Celtics fans might not find Pharoah's latest effort so funny. On ESPN's "First Take" show yesterday, Pharoah sat alongside Smith when during his rant on the NBA, the topic came to the Celtics and their captain Paul Pierce. "He's an actress," Pharoah said regarding Pierce. "I'm sorry, he's a good basketball player... he has a couple of rings, [Smith: He has one ring] ...he's an actress. Diva, diva. You even talk about how he's a diva now... I will get on this freakin' table and show you what he does." Pharoah goes on to flop down on the "First Take" table and proclaims as Pierce, "he fouled me," referencing an unnamed offender. Maine television news anchor Meghan Torjussen made a gaffe Sunday night in delivering the news about Game 4 of the Celtics-Heat series. Her live broadcast on Maine's ABC affiliate was in progress as the game was winding down, and she was given information from a producer who apparently told her the result was a tie. "I guess the game just ended. It ended in a tie. This is what my producer is telling me right now," she said. Watch the full performance in the embedded video. Bill Belichick is in a league of his own when it comes to getting paid. But Doc Rivers isn't far behind. According to Forbes magazine, the three-time Super Bowl winning Patriots head coach makes more money than any other coach in America. 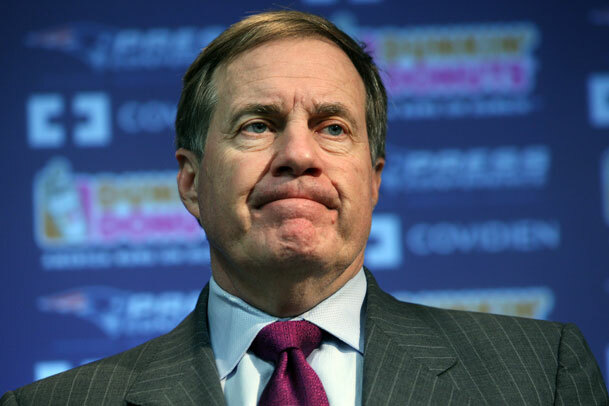 Belichick's estimated salary of $7.5 million puts him at the top of the Forbes list. NFL coaches dominate the top 10, with eight representatives. The two other top-10 paid coaches come from the NBA: Celtics coach Doc Rivers ($7 million) and San Antonio Spurs coach Greg Popovich ($6 million). Super Bowl winning coach Tom Coughlin of the Giants, with an estimated salary of $5.25 million, didn't make the top 10. The Orlando Magic want Dwight Howard to be a part of their long-term plans, but if Howard does not sign an extension this offseason, the team is willing to explore other options. Magic CEO Alex Martins told News 13 (Orlando) sports reporter David Baumann that the team would like to keep Howard. "Our No. 1 goal is to get him to sign an extension, so we don't go through a season like we did last year," said Martins. There was major drama surrounding the Magic last season, with Howard demanding to be traded, then backing off those comments, then asking to be traded again, and then signing a paper waiving his right to opt out this summer. Magic coach Stan Van Gundy told reporters that Howard went to the media and asked for Van Gundy to be fired. The Magic have Howard under their control for one more season, but if Howard does not sign, "necessary decisions will be made," said Martins. Those decisions could include letting Van Gundy go or moving Howard to another team. If this clip doesn't get you pumped up for the start of the Celtics' postseason, you must be a Hawks fan or something. It's part of a series of "A Champion Will Rise" commercials debuting Saturday morning on ESPN in promotion of the network's NBA playoff coverage. This one features Celtics captain Paul Pierce hanging out with the championship banners in the Garden rafters. "There are 17 championship banners in this building," Pierce says, apparently not paying much mind to the NHL. "Eleven from Russell. Three from Bird. I even helped raise one. But we're not here to talk about history. We're here to keep making it." If you need a reminder, Game 1 is tomorrow night at 7 p.m. on TNT and Comcast SportsNet New England. The Celtics' first postseason game on the ESPN networks is Friday, when Game 3 will air on ESPN2. Pacers team president Larry Bird would like owner Herb Simon to plan for his departure, according to a report from CBS Sports. CBS' Ken Berger reports that Bird has told several friends in the NBA that he's decided to leave. The 55-year-old Bird had an agreement to stay with the Pacers until the end of the season. The Pacers are the No. 3 seed in the Eastern Conference and will face the Orlando Magic in the first round of the playoffs. Bird has been the Pacers' president since 2002. He played for the Celtics from 1979 to 1992. He was elected into the Basketball Hall of Fame in 1998. The Celtics are close to signing free-agent center Sean Williams, league sources tell ESPN.com's Marc Stein. In order to make room for Williams on the roster, the Celtics are expected to waive the injured Jermaine O'Neal. Williams was waived by the Mavericks on March 22, and he would be playoff eligible if he signed with Boston. The 6-foot-10-inch, 235-pound big man is known as a shot blocker, and he could provide the Celtics with much needed depth in their frontcourt. Kevin Garnett, Brandon Bass, and Greg Stiemsma are the only three big men the Celtics play comfortably. Ryan Hollins was brought in recently to compete for a bench role. Williams averaged 3.6 points, 1.6 rebounds and 8.1 minutes in eight games in Dallas. Austin Rivers, son of Celtics coach Doc Rivers, is reportedly leaving Duke after his freshman season. The 6-foot-4 Rivers, who averaged 15.5 points, 2.1 assists, and 3.4 rebounds per game last season, will sign with an agent and forgo his remaining eligibility, sources told CBSSports.com. Rivers is expected to be a lottery pick in June's NBA Draft. Duke was upset in the opening round of the NCAA Tournament last week, losing to Lehigh. Rivers scored 19 points in the defeat. Well, not a whole lot of Boston sports history has been made on the leap day over the years. The highlight may be the birth of former Bruin Lyndon Byers, who was born on Feb. 29 48 years ago. The leap day doesn't coincide with the regular seasons for football or baseball, but hockey and basketball are just past their midpoints. The Bruins are off tonight while the Celtics host the Bucks. The story of the Red Sox pitcher is pretty unusual. Maine's Lewiston Daily Sun reported March 2, 1932, that Morris was stabbed twice in the chest, barely missing his heart, at a farewell fish fry in his honor in Brewton, Ala. Morris died the day after the report at a local hospital. Morris was 42-45 from 1928 to 1931 with a 4.12 ERA. He finished 15th in the MVP voting in 1928 (19-15, 3.53). Byers, a right wing from Nipawin, Saskatchewan, was drafted by the Bruins in 1982 and played with them for nine seasons. He played one season with the Sharks before joining the Hill-Man Morning Show on WAAF as a co-host. In his nine-year Bruins career, Byers registered 24 goals and 42 assists in 261 games. The Celtics are close to a deal that would bring free-agent forward David West to Boston, according to a report from NBA.com's David Aldridge. West is a two-time All-Star who has averaged 16.4 points and 7.3 rebounds per game since being drafted by the New Orleans Hornets in 2003. The big power forward had a strong start in 2011, but had his season cut short after tearing his ACL in March. He had successful reconstructive surgery in April. The Celtics were working to land West, 31, through a sign-and-trade deal that could mean the end of Jermaine O’Neal's tenure with the team, according to reports. We'll have more on this as details become available. Stay tuned. Standing before representatives from 29 of the 30 NBA teams, players' union president Derek Fisher told reporters that the current offer on the table from NBA owners is not acceptable for the union's membership. "I don't see a way we can get a deal done by Wednesday," Fisher said of the deadline proposed by the owners. Fisher said that the players were still hopeful of negotiating prior to the Wednesday deadline. At issue is the amount of basketball-related revenue players and owners would split in any potential new deal. The players have offered to reduce their share of revenue from 57 percent to 52.5 percent, while the league is seeking a split closer to 50-50. NBA commissioner David Stern said on Monday that the league's offer would get worse if the two sides could not agree to a deal by Wednesday, dropping the players' share to 47 percent. Union director Billy Hunter said he would try to reach out to Stern to get the sides back at the bargaining table tomorrow. "The players are clearly of a mind that it's an unacceptable proposal," said Hunter. Just a quick programming note for those of you with NBATV. The network is replaying Game 6 of the 1986 NBA Finals between the Celtics and Houston Rockets. In that championship-clinching game, Larry Bird turns in one of his finest Finals performances, putting up 29 points, 11 rebounds, and 12 assists. Watch the highlights from the game above (my favorite part is when Bird wins the jump-ball against Hakeem) and enjoy the game tonight. A few weeks ago, actress Mindy Kaling asked her more than 1.4 million Twitter followers if they were embarassed by the Bruno Mars hit "The Lazy Song", and if they thought that the song brought shame on our country. "Zee Americans, it zeems, fetishize sloth and inactivity," Kaling tweeted in a mock foreign voice. Today, Celtics forward and almost NBA free agent Glen Davis shot a video of himself singing "The Lazy Song" in his car, tweeting, "This is how I feel today!!!! Love this song." The image Davis is trying to project now is one of a desirable free agent. Davis averaged 11.7 points and 5.4 rebounds per game during the 2010-11 season, but his play fell off sharply in the playoffs, where he averaged 4.9 points and 3.6 rebounds over 21.2 minutes. Davis will be an unrestricted free agent on July 1, and while he and the team have said they are open to Davis staying in Boston, his playing status is very much up in the air. Major Tony Allen feature in Wall St. Journal. Wait, what? The Wall Street Journal ran a big feature story today on former Celtics guard Tony Allen, calling him "the NBA's most unlikely impact player." Allen signed with the Memphis Grizzlies as a free agent this offseason, and while his defense may be missed in Boston, it's safe to say most fans aren't pining for him like they are for Kendrick Perkins. Allen was, after all, a little erratic during his time here. "It would have been impossible for us to stay afloat if Tony hadn't been able to consistently perform the way he has," general manager Chris Wallace told the Journal. Good for Wallace, and good for Allen. Probably good for the Celtics as well. Michael Felger and Tony Massarotti have built a strong following and strong ratings in their 18 months as 98.5 The Sports Hub's afternoon drive tandem. Today, they have one more acknowledgment of their success, agreeing to a three-year contract extension to remain with The Sports Hub. Said Felger: "This job is a blast. I don't know what I'd do without it. I think this station has been good for Boston. We needed another voice, another perspective. I consider myself lucky to be included among the group that helps provide it." Not long after its debut in August 2009, the Sports Hub emerged as a legitimate competitor to WEEI (850), which long had a sports-radio monopoly in the market. Felger and Massarotti have been at the forefront of the Sports Hub's ascent, challenging WEEI's long-established and recently revamped "The Big Show" in the 2-6 p.m. window and frequently winning the battle between the stations in the Arbitron ratings in the crucial men 25-54 demo. Comcast Sportsnet New England launched their "Celtics Old School" series in December, but they're doing a notable re-air tonight. The series consists of six classic college games featuring current Celtics players. The game airing tonight is the memorable NCAA West regional final between Ray Allen's Connecticut Huskies and Ed O'Bannon's UCLA Bruins. I'll spoil the ending for you -- UCLA wins 102-96 -- but that won't make the game any less watchable. Just look at that score. UConn had yet to win a national title in 1995, but this might have been their best team ever. Allen -- who had 36 points in the UCLA game -- was a sophomore and was just emerging as a superstar. The backcourt of Kevin Ollie and Doron Sheffer is hands down my favorite college backcourt ever. Donny Marshall and Travis Knight were very capable college players, while Brian Fair was the shooting specialist off the bench. The UCLA team the Huskies ran into -- led by seniors O'Bannon and Tyus Edney -- was too experienced, and was probably the only college team capable of being Connecticut that season. The game airs tonight at 8 p.m. on CSNNE. That conflicts with Bruins-Canadiens and tonight's tournament games, but that's what DVR is for. Commemorative items from the life and career of Celtics patriarch Arnold "Red" Auerbach will be put up for auction starting in April, a California-based auction house announced in a press release. The memorabilia includes Auerbach’s NBA championship rings from 1957, 1962, 1974, 1976, and 1981. 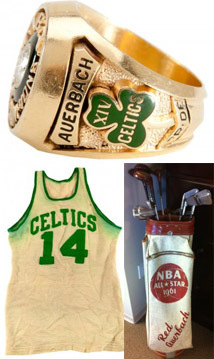 Also available will be Auerbach's cigar humidor from the 1954-1955 season, a 1961 NBA All-Star golf bag, and a game-used jersey from 1950 won by Celtics rookie Bob Cousy that was part of Auerbach's personal collection. The internet-based auction, conducted by SCP Auctions of California, will begin April 15 and run in three parts. Auerbach had only one losing season in 16 seasons as coach of the Celtics. He won eight consecutive NBA championships before his retirement from coaching in 1966, then served as the Celtics team president and general manager for another 14 years. He was the team's president from 1984 until 1997 and again from 2001 until his death. Auerbach passed away from a heart attack in 2006 at the age of 89. Did Knicks laugh after Heat cried? When Heat coach Erik Spoelstra revealed Sunday night that there is indeed crying in basketball, he probably never considered that he'd be making his team a punchline in other locker rooms around the NBA. But according to one report, that may be exactly what's he's done. Spoelstra said during a postgame press conference yesterday after the Heat's 87-86 loss to the Bulls -- the South Beach Preseason On-Paper Champs' fourth straight loss -- that members of his team were crying in the locker room after the game. His intent seemed to be to show that his players cared. Instead, it's raised more questions about the collective toughness of LeBron James, Dwyane Wade, Chris Bosh, and their supporting cast. ESPN New York reported that Knicks stars Carmelo Anthony and Amar'e Stoudemire were having a laugh at the Heat's expense when the Knicks' locker room opened to reporters last night after their victory over the Atlanta Hawks. Stoudemire: "I heard Chris Bosh was crying tears." Anthony: "Wait 'til I call him, man. I'll be like: 'What are you doing?' "
As the report noted, Bosh denied to the media that he was one of the players who was crying. Wonder if he told Anthony the same thing. - Interior defense on the Celtics looks different. But you know this. It's just odd that the perimeter defense looks so different too. Watching Monta Ellis and Stephen Curry run a pick-and-roll with David Lee and carve up the Celtics so easily -- with Kevin Garnett on the floor -- is worrisome . That's probably a bit of an overreaction given the nature of the Warriors offense and their stellar guards. But I just keep imagining LeBron James and Dwyane Wade running that pick-and-roll with Chris Bosh and having a much tougher time trading buckets. Of course, that is if the Heat ever actually run a set offense. Mind you, Ellis dropped 41 points and Lee put up 26 points and 12 rebounds. The Celtics didn't get off easy. 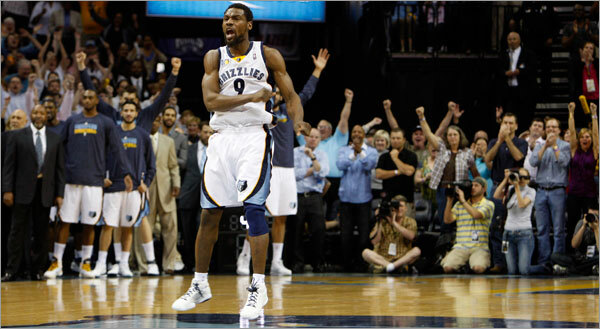 - Jeff Green appears to be filling the role of the departed Tony Allen on offense, being a strong finisher on the wing. However, Green brings the added elements of being able to dribble and hit mid-range jump shots. This is a welcoming development after his first few games. Against the Warriors, he scored 21 points in 28 minutes. That productivity is something to rave about. - At a certain point, Doc Rivers must be yelling himself hoarse at Kevin Garnett and Rajon Rondo to shoot the ball. It's bad enough that Rondo will pass up nine out of 10 open opportunities, but he can't let fast break buckets vanish because he's eye-balling a pass that isn't there. While Garnett, who is the epitome of a team player, usually knows when to pull back and shoot, he's giving a little too much up in the last few games to get Nenad Krstic and others involved. In fact, he had a pretty glaring turnover against the Warriors on an offensive rebound he should've put back up, instead passing to an unsuspecting Krstic. There has to be better balance for these guys in this regard. Despite the negative, there's always a lot of positive to take away in holding off a surging team with the number of injuries and changes having occurred with the Celtics. But for the Warriors, this is another disappointment for a team that can't catch a break. They're 4-6 in their last 10 games. They have a decent coach and a pretty good offensive lineup. But outside of Ellis' ball-hawking ability on the perimeter and Lee on the interior, they lack defensively everywhere. It goes without saying that their 27 wins were a product of them outscoring their opponents. And that is all. The Warriors give up the third most points per game (105.2), ahead of only the 15-win Minnesota Timberwolves and the 12-win Cleveland Cavaliers. Catch my drift. Celtics fan favorite Leon Powe will sign a deal with the Memphis Grizzlies, NBA.com's David Aldridge reported on his Twitter feed earlier today. The 6-foot-8-inch power forward was released by the Cleveland Cavaliers earlier this season. The Celtics likely had interest in Powe, but they filled their need for a big man when they signed veteran Troy Murphy on Tuesday. The hard-working Powe has dealt with serious knee injuries for his entire career. In the Kendrick Perkins mode, Powe was a fan favorite during his time in Boston. His moment in the sun came in Game 2 of the 2008 NBA Finals when he came off the bench to score 21 points, prompting Lakers Coach Phil Jackson to lament to reporters that his team did a bad job on Leon "Pow". Suns forward/center Channing Frye joined the list of Kevin Garnett's public detractors earlier this season after Garnett poked Frye in the midsection during a game on Jan. 28. The two players exchanged words on the court, with Suns coach Alvin Gentry saying he "lost a little respect for Garnett" on a Phoenix radio station later on. At today's shootaround before the Celtics and Suns face off tonight at TD Garden, Frye expounded on the incident to the Boston Herald. “There’s a rule,” Frye told the Herald's Dan Duggan. “There’s certain things you just don’t do and he just overstepped that boundary twice. It is what it is. There’s nothing else I can say about it. What am I going to do, slap him on the hand or tell him don’t do that? That’s just how he plays. Everybody knows that. I think you can look at how many people have complained about him. It’s not like it’s just me. I don’t take it personal." Frye later added, "People just aren’t afraid of him. It's just not as concealed. I think an elbow here, maybe tripping somebody or grabbing hold of them, that happens and it’s just people playing hard. But other stuff is a little different, being a little disrespectful. It is what it is. He plays like that and that’s what he does. Everybody knows it, but it’s not like I’m out here thinking what am I supposed to do against KG." We know Wally Szczerbiak has fallen off the map a little bit since his playing days, but this is kind of mean. 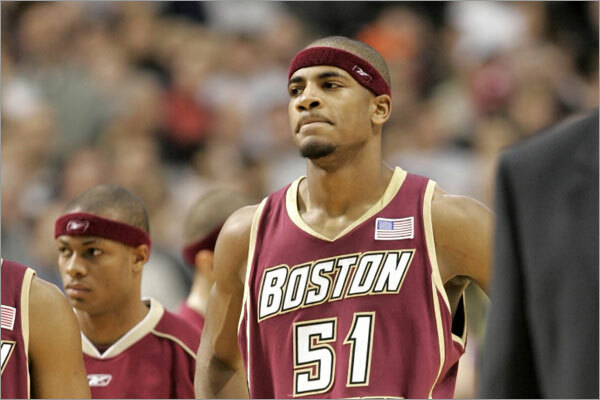 The former Celtics forward is an analyst for CBS college sports, sitting in the studio during college basketball broadcasts. He actually does a pretty good job, but apparently he hasn't done enough to impress his own production team. 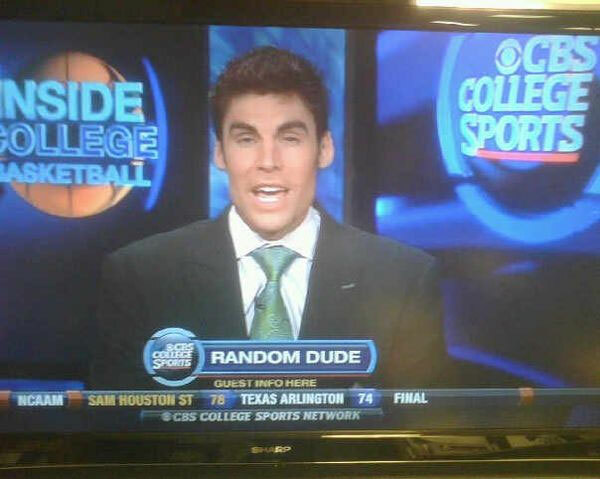 The folks at Awfulannouncing.com pointed out that Szczerbiak was identified as "Random Dude" during a recent broadcast. Apparently someone forgot to take out the placeholder. Ouch. Somewhere in there there's a joke about Celtics fans not being able to identify Szczerbiak, either. You know, because he wasn't very good when he was here. Another year, another fond look back at one of the best interviews with any player ever. In 2006, this Delonte West interview with ESPN's Louise K. Cornetta was an instant classic. Cornetta often polls players about off the court topics, and the premise of this interview was to ask West about what his ideal Valentine's Day plans would be. Cornetta might then use one of West's quotes alongside those of other players to create a fun feature on love and NBA players. "Yeah, we're going to my yacht," said West. "We'll pull up at the docks and got a guy waiting for us, open our door up and we walk down a lit-up dock and onto the yacht, where we have dinner set up on the boat and we just cruise out on the water. Sit down and have some dinner, some shrimps and steaks, keep it nice and breezy. Pop some bottles, some Moet Rose. The red Moet, we ain't popping no Kristal, it tastes like urination. We ain't popping no Kris, that's $500 a bottle. It ain't that serious. It ain't going to get you drunk. Make sure you put that in there. We ain't doing a $500 bottle, we're doing a $99 wine and dine." Later in the interview, West dials down his dinner menu. "One more thing: When we're on the yacht eating, we're going to have some Popeyes chicken. That's for dinner. It's to let her know, put a mental image on her mind, first and foremost, if you ain't from the hood, you don't like Popeyes chicken. Everyone there loves Popeyes chicken and the biscuits -- phew. But that's just getting it on her mind, saying, you know, 'Yeah, I can wine and dine you, but I'm a little rough around the edges and I'm keeping it real with you. I can be romantic, but this is real, we're going to eat some chicken tonight. Chicken and biscuits.'" It's worth it to read the entire interview. Guys, share it with that special someone. It's what Delonte would want. Last night's Lakers-Celtics game, a 92-86 win for the Lakers, was much more than a dog-and-pony show for Ray Allen's super-human 3-point shooting capabilities. Allen, without question, was brilliant and gracious. I've followed him since his time with the Milwaukee Bucks and I can honestly say there isn't a more deserving guy to hold this record than him. But for the game, and the rivalry, there's a lot to draw upon from last night's contest. It was, in the best way I know how to describe it, an "I told you so" game. Let me explain. 1.) Only nine healthy -- Shaquille O'Neal, Jermaine O'Neal, Semih Erden, Marquis Daniels and, for giggles, Delonte West didn't play last night for Eastern Conference's best team. Is it any wonder why they lost? Erden, the 7-foot Turk who has been playing aggressive and strong in his reserve role, was out with an adductor strain leaving the Celtics thin in their greatest asset -- the frontcourt -- after notable injuries to Shaq and Jermaine. The whole reason the Celtics picked up Erden and the O'Neals was to compete with the Lakers in the paint. Last night's loss becomes painfully obvious when the bigs to back up Kevin Garnett and Kendrick Perkins are not available and, like last night, get in foul trouble. 2.) Andrew Bynum defines his worth -- You could see in the fourth quarter, when Lamar Odom got his head busted by his teammate Pau Gasol, that Andrew Bynum was gassed. He's not used to playing in the fourth quarter stretch. But when he's in the game, albeit unproductive on the offensive end, his length creates problems in the paint for opposing teams. Sans one layup by Rajon Rondo, Bynum affected multiple shots down the stretch as the Lakers made their final push. I'll reiterate here, as I have before, that trading Bynum for Carmelo Anthony, as Kobe Bryant has insisted, is not a wise idea. 3.) Kobe defends Kevin Garnett -- I'm positive that Kobe Bryant knows Kevin Garnett better than anyone I know -- including the Celtics beat writers and whatnot. But I honestly don't think he's been watching KG lately. There's been some pretty questionable stunts by Garnett that have warranted criticism, and at times, I would say, a fine. His punch to Channing Frye's groin put him on the league's radar. Spike Lee went so far as to tell him to "calm the f--- down." Charlie Villanueva ripped him on Twitter (causing Garnett to release a rare statement in response). Joakim Noah cried about him on the radio. People talk. And Kobe, who admittedly has talked a lot of trash with KG over his 14 years in the league, doesn't believe any of it. "He's not a (jerk) by any stretch of the imagination," Bryant told the Globe's Gary Washburn. "He's a good dude. But he plays his heart out though." I guess that's how he really feels. 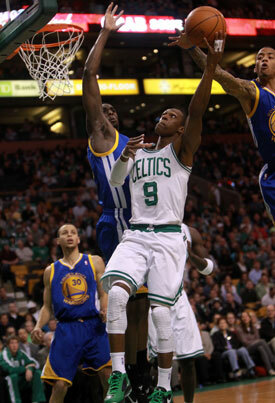 Watching the game last night, you could tell there was none of that "jerk" demeanor by Garnett in the game. Did Kobe's comments have anything to do with that? Maybe it's Kobe's new mind game. Say great things about KG to get him to calm down. He definitely didn't get into it with anyone, even though one of his favorite targets (Gasol) was battling with him all night. 4.) The Lakers aren't really down on themselves -- Nationally, the Lake show has been getting ripped for weeks. But as you take a look at the standings (37-16, second in the Western Conference), the last 10 games they've played (6-4), and consider last night's win over the Celtics as part of the equation, there's really nothing to jump off a bridge about if you're a Lakers fan. And certainly no reason to trade for Carmelo Anthony. To borrow a phrase, the news of their demise is greatly exaggerated. 5.) Kobe Bryant looks more and more like Michael Jordan -- I don't like the comparison any more than he does. 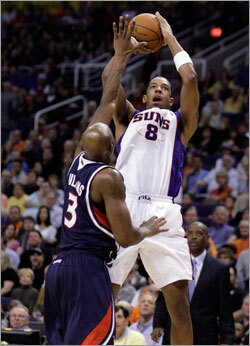 But I happen to think that his growing use of the fadeaway jump shot looks very familiar. However, no player -- and I mean none -- has been able to master the post-up to fadeaway shot from mid range like MJ. Not even Kobe. The Los Angeles Lakers have joined the New York Knicks as suitors for Nuggets forward Carmelo Anthony, sources told ESPN's Chris Broussard. A potential deal bringing Anthony to Los Angeles would center around Lakers center Andrew Bynum, according to the report. "There have been discussions between the two teams," one of the sources told Broussard. "The Lakers are definitely an option." According to the report, the Nuggets do not have interest in Lakers forward Ron Artest. A trade of Anthony for Bynum would come close to meeting the league's financial requirements for pulling off such a deal. For Celtics fans, of course, a potential Anthony-to-Los Angeles deal could spell big trouble to Boston's title run this season. 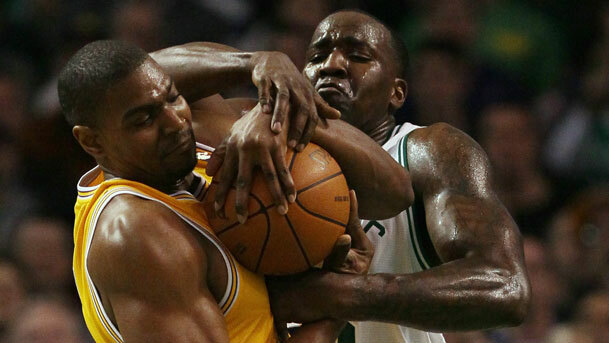 The Celtics beat the Lakers in Los Angeles last week and play them at TD Garden on Thursday. The teams went to seven games in last year's Finals, and the thought is that the Celtics can compete with Los Angeles with a healthy Kendrick Perkins. A trio of Kobe Bryant, Pau Gasol, and Anthony could be formidable for years to come and matches, at least in the short term, the trio of stars the Miami Heat have assembled. According to reports, the Nuggets are also engaged in talks with the Knicks about a three-way trade involving the Minnesota Timberwolves. Initial discussions centered around Denver getting Wilson Chandler, with Minnesota sending Corey Brewer and a first-round pick to Denver as well. 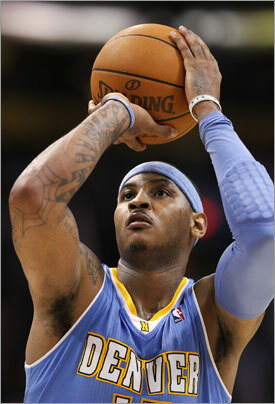 But Denver has its eye on young Knicks assets Danilo Gallinari and Landry Fields, along with Chandler. What do you think? Would the Lakers be stealing Anthony if they gave up only Bynum? Do you like the Celtics' chances more or less if Los Angeles makes that deal? Big Baby shirts; Ayo Baby! 1. What the heck does "Ayo Baby" mean? 2. 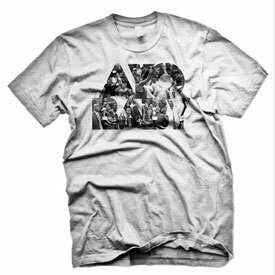 Those are pretty cool shirts. Note the background: It's from the game against the Magic where Davis hits the winning jumper before knocking over the kid in the front row. Awesome. The Taio Cruz song "Dynamite" features the lyrics, "saying ayo, baby let's go." So maybe Davis took it from the song. An example of Davis's typical use of the catchphrase might be a tweet like this: "I like some girls with long fake hair!! It's cool; but when it gets In a bros food ! You got to be more careful! Ayo baby! Believe the baby!" Does anyone know for sure what Davis is referring to when he says this? Does anyone else use the term "ayo, baby" in everyday life? Los Angeles Lakers shooting guard Kobe Bryant will become the first athlete to have a hand and footprint ceremony at the Grauman’s Chinese Theater in Hollywood, joining a list of 200 stars like Marilyn Monroe, Brad Pitt, and John Wayne on the famous walk. The ceremony will take place on Feb. 19 during the NBA's All-Star Weekend festivities. It will be followed later that evening with a gala event for Bryant, 1,200 VIP guests, and select members of the public. "To be a part of such elite company is a tremendous honor," Bryant said in a statement. "I'm proud to be the first athlete to be recognized." The five-time NBA champion has played his entire NBA career with the Lakers. Celtics fans may remember Bryant from last June, when he stole the NBA Finals MVP award from a more-deserving Pau Gasol. All kidding aside, how is Bryant more deserving of a handprint than current Celtics and former Lakers center Shaquille O'Neal? 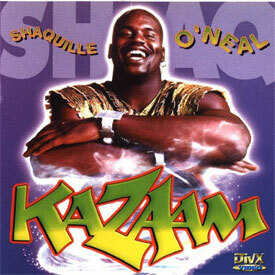 Have people not seen "Kazaam"? Is 'Sheed planning a return to the Celtics? Stephen A. Smith, the ubiquitous but undeniably well-sourced reporter/personality, said he believes so, telling Dan Patrick on the latter's radio show this morning that Rasheed Wallace will come out of retirement to give the Celtics some front-line depth in the playoffs. Smith said Wallace, a 15-year veteran who retired after averaging 9.0 points per game last season with the Celtics, told him the plan is to come out of retirement because he wants another shot at the Lakers in the NBA Finals. The Lakers defeated the Celtics in 7 games last year, with Wallace collecting 11 points and 8 rebounds while starting in place of the injured Kendrick Perkins. Smith told Patrick that the Celtics' plan, should they meet the surging Miami Heat in the Eastern Conference Finals, will be to challenge them with "brute size," adding Wallace to a frontcourt that already includes Kevin Garnett, Shaquille O'Neal, Jermaine O'Neal, and Glen Davis, with Perkins due to return from a knee injury relatively soon. "The question from me from Day 1 [about the Heat is] can they beat the Boston Celtics?" Smith said. It's worth noting that Smith has been correct when it comes to surprising NBA news recently. He was the first to report that LeBron James and Chris Bosh would join Dwyane Wade with the Heat. Did LeBron lift 'Heatles' nickname from KG? The Miami Heat have won 18 of 19 games, and -- just perhaps -- all that winning has given LeBron James an inflated ego. Beaming from his team's recent win streak and from the Heat's ability to pack opposing arenas, James had this to say to Sunsentinal.com after this week's victory against the Bobcats. "We call ourselves the ‘Heatles' like the Beatles," said James. OK. As far as nicknames go, that's not bad. I'm still partial to Miami Thrice, but to each his own. The real problem with James's comparison of his nascent basketball team to the greatest rock and roll band of all time is that -- gasp -- he may have stolen it. In 2007, Celtics forward Kevin Garnett called the newly-assembled Boston Celtics the "Ceatles", comparing Boston's Big Three (plus an anonymous One) to John, Paul, George, and Ringo. Watch the clip below, which shows Garnett making that comparison on ESPN All-Access in Oct. 2007. (Start the clip from the 1:30 mark and note Paul Pierce's and Ray Allen's reactions. Priceless). It's entirely possible James never saw this clip. Of course, it's also possible he did. So many questions surround James's use of "Heatles". Did he know about Garnett's reference? If so, when? Did he use it anyways, figuring that three years had passed and that the general public usually forgets almost everything in that amount of time? So many questions, but the one I'd like answered: If the Heat really are the "Heatles", which one is John? LeBron James's latest Nike commercial took jabs at Charles Barkley and Michael Jordan among others -- pretty much anyone except James himself -- in defense of some image issues the Miami Heat superstar acquired over the summer. In the mashup below, someone cleverly takes an old Jordan commercial and splices it with the James commercial, creating what looks like a vengeful response by Jordan. It's well done and worth a viewing if you haven't seen it. Cleveland fans to laugh at LeBron? What to do with LeBron. Rather than simply booing the superstar, some fans in Cleveland plan to laugh at LeBron. Cavaliers fan David Acosta started a Twitter campaign by that name encouraging Cavs fans in attendance to laugh, rather than boo, LeBron every time he touches the ball. Seems like a pretty good idea to me. 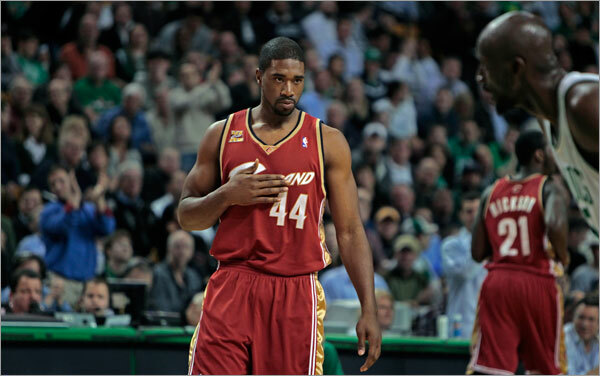 What do you think Cleveland fans should do to the player that took his talents to South Beach? Leave a comment. Adrian Wojnarowski's NBA coverage on Yahoo! Sports is pretty much always a must-read, and today's column on Kobe Bryant certainly qualifies -- especially for Celtics fans. While the Lakers star's revelation that Michael Jackson -- yes, that Michael Jackson -- was something of a mentor to him, the most interesting nuggets from this perspective in the wide-ranging interview are in regard to how he views the Celtics. When talking about how often fans come up to him and tell him to beat the Heat -- we presume this doesn't happen so much now that LeBron, Dwyane Wade, and the rest of the South Beach All-Stars are off to an 8-6 start -- he says that's not the opponent on his mind and the Lakers' Christmas Day matchup with Miami is "just another game." But, Wojnarowski writes, the Celtics are different. “Now that’s a war,” Bryant said. “Boston is a great city to go to, all the history. If you’re an opponent, they hate your [expletive] guts – like New York, like Chicago, all those Eastern cities. That’s the one that gets me excited. "Three of the biggest stars in the NBA. A jam-packed arena. Palm trees. Yes, things are looking sweet for Pat Riley's Heat." 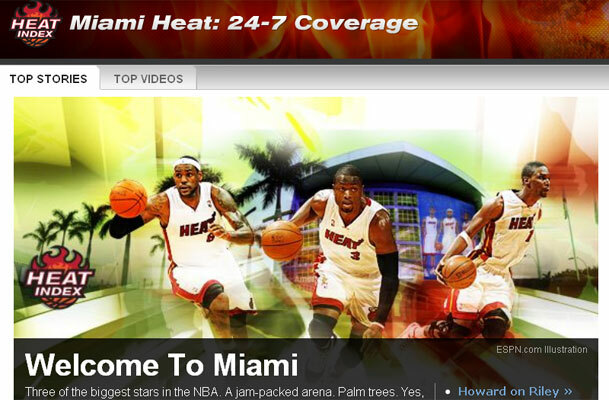 ESPN's new website "The Heat Index" launched today with the purpose of covering all-things Miami Heat. As my colleague Chad Finn wrote Friday, ESPN sees enough interest in the team to warrant such coverage. They're probably right to an extent, though, like LeBron James, the network is also too deep on this to hear any of the objections. But they're right. The Heat will be very popular. The site is likely to do well. Check out the Heat Index for your Heat news. Check out our Celtics Blog for your Celtics news. No reason you can't have it both ways. Will Howard's CD be music to kids' ears? Magic superstar Dwight Howard has much in common with Celtics big man Shaquille O'Neal. An outsized personality to go with his outsized physique. An affinity for Superman, with the free-throw line serving as each of their personal Kryptonite. A love of music. But the latter is also where they differ. While Shaq has had a relatively accomplished and occasionally notorious hip-hop career -- did he really need to bring up Kobe's taste buds that one time? -- Howard is aiming whatever musical talents he may possess toward a different demographic and genre. 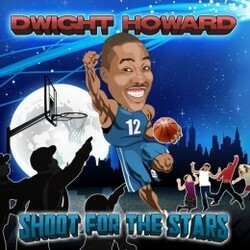 Dwight Howard has made a kids' album. Due to be released October 26, the album, titled "Shoot for the Stars," includes a song list typical of the fare that is aurally unavoidable at a typical NBA game, including covers of the Black Eyed Peas' "Let's Get It Started," MC Hammer's "U Can't Touch This," The Jackson Five's "ABC" and "Will You Be There." A cynic might wonder if Howard's musical taste is the result of some weird strain of Stockholm Syndrome from too many hours spent in NBA arenas. But the intent couldn't be more admirable. Kids from the NBA Cares Program will sing along with Howard on the album, and according to the Orlando Sentinel, some of the proceeds from sales will benefit the BETA Center, which "targets support for teen moms and at-risk families" in Orlando. "This record is a dream come true for me in so many ways," Howard said in a press release. "Recording this album for me ranks with being the first pick in the NBA draft, my first NBA All-Star game and winning a gold medal at the Olympics. Razor & Tie and KIDZ BOP have been incredible and I hope everyone enjoys the album as much as I did recording it." Howard, known for his easy smile and friendly personality -- really, this project fits his image perfectly -- will also reportedly do impressions of Arnold Schwarzenegger, Magic coach Stan Van Gundy, and Charles Barkley on the album. Other songs include "Shout," "Day-O," and "Whoomp (Hoop) There It Is." For a possible follow-up album should this one succeed, might we suggest "Freethrow" sung to the tune of "Freebird"? "For I must be traveling on now/'Cause the refs will never call it on me. . ."
C'mon, the kids will love it. Rajon Rondo lended his NBA fame to his sponsor Red Bull for the "King of the Rock" tournament, held in The Yard at Alcatraz, on Sept. 18. Below are highlights from what looks like a pretty standard one-on-one tournament held in a very, very cool place. The transformation of Ron Artest's image really has been incredible. It would be hard to go back to November of 2004 -- when the infamous Malice at the Palace broke out between the Pacers and the Pistons -- and find anyone to tell you that Artest would rehabilitate his image to the point that he has. Artest was the most visible participant in that brawl. Fairly or not, he was portrayed as everything that was wrong with the NBA because of it. It took a long time to get here, but it's 2010, and Artest is charming. Adorable, even. I was in the room for Artest's memorable postgame press conference (below) following Game 7 of this year's Finals (I'm one of the people on the laptops Artest keeps trying to get to give him a shoutout). Artest bounced up and down like a toddler as he spoke. He introduced his extended family. He thanked his psychiatrist. Then he went clubbing in his game-worn jersey. Last week, TMZ obtained a photo (above) of Artest driving around Los Angeles in what was essentially a go kart. The car was not registered to the Lakers forward, so he had a little explaining to do. But he wore a helmet. When I saw the latest headline on NBA.com, I was surprised: Artest to auction off championship ring. But Scott Howard-Cooper's story, like all of the other latest news concerning Artest, made me smile. Artest will auction off his first and only championship ring to raise money for mental health awareness. He's spent 11 seasons in the NBA seeking the validation of a championship. In talking to Artest during the Finals, he answered almost every question -- and there were hundreds over two weeks -- with some reference to earning a ring. But Artest has the perspective to use the jewelry's tangible value for something that may eventually help many people: putting more psychologists and psychiatrists in schools. "I'm older now," Artest told NBA.com. "So I think it's about that time that I stop complaining about what people think about me, because it's more important than me, you know? "That whole thing (after the championship), I was thinking about it, in my brain I'm like, 'Am I really about to say this? On national TV?' But then the other part of me was like, 'It's bigger than you. It's bigger than you. It's more about people that really need to hear this.' For five years, I've been wanting to do this psychology-type of assistance, but I never had an outlet where I could make a big impact, as far as where the most people could see it." Artest is clearly a person who has battled personal demons all of his life. Good for him for looking outside himself here. As our own Gary Washburn reports right here, the Celtics are bringing back guard Delonte West, who spent the first three seasons of his career here before being dealt to the NBA Franchise Then Known As The Sonics before the 2007-08 season in the Ray Allen deal. West, a tough, versatile, savvy player who has had some high-profile off-the-court issues, was a bright spot on some lousy Celtics teams. The hunch here is that most Celtics fans are cool with bringing him back, especially in a limited role. I bring this up here because I was just discussing this move with our in-house Celtics guru here at Boston.com, Gary Dzen. While we both agreed on West's potential value, it turns out we remembered his first run as a Celtic a little differently. I think of West as, more than anything else, a pretty reliable spot-up shooter (in part, probably, because a lefty's shot always looks good unless we're talking about Dwight Howard heaving up one of his homely lefty hooks). But Dzen noted that West is also a pretty good dunker, which is something I don't particularly recall at all. So here's our question to you: Do you think of West as a decent dunker who can bring the thunder every now and then, or more as a perimeter shooter and occasional slasher who is more substance than style? And more importantly, do you like the signing? Drop your wisdom in the comments. Delonte jams on the break over Atlanta's Josh Smith . . .
. . . then hammers one down on 6-foot-11-inch Samuel Dalembert . . .